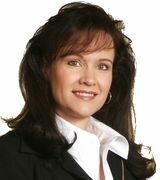 Sharon Lyons, Broker for Lyons Property Management, has the daily task of ensuring that all aspects of the business are in compliance with Georgia and Federal Law pertaining to real estate, fair housing and property management. She actively seeks continuing education classes and develops policies to meet new regulations that may have occurred. Communicating this to employees and Owners is a key role. Having a financial degree and background allows her to identify great investment property opportunities for our Owners. Having a Realtor’s license since 1988, she is also actively involved in listing and selling property as well. Being a property owner, Sharon found that she could utilize her skills to improve the management of her own properties. She believes that we should work for the Owners while maintaining an equal balance for the Tenants. Jim and Sharon, after many years of using a secondary property management company, decided to start up their own property management company with that key belief. We selected Christy as a Manager because of her great customer service skills and strong leadership background along with the extensive experience and refreshing ideas that she brought to our mission. When not working, Sharon enjoys reading, knitting, exploring vacation sites and hanging out with friends. Broker/Owner, Lyons Property Management, Inc.